Welcome to Wednesday Word, a weekly linkup for everyone, not just health and fitness bloggers. Each Wednesday you will have a single word prompt to write about. Let your imagination run free and share with your readers your interpretation of that word, or simply use it as inspiration for your post. Today’s word is organize… I’d love to have you link up, and if you do, please remember to follow my six simple rules. Want help developing a running plan for a spring race? I can sit down with you and ask the right questions to help you set a goal. Next I’ll help you fill out a worksheet jotting down your preferred running days, cross training and rest days, type of runs to incorporate, and miles to run based on your current running base. You’ll leave with a 16-week, well thought out and organized, training plain. 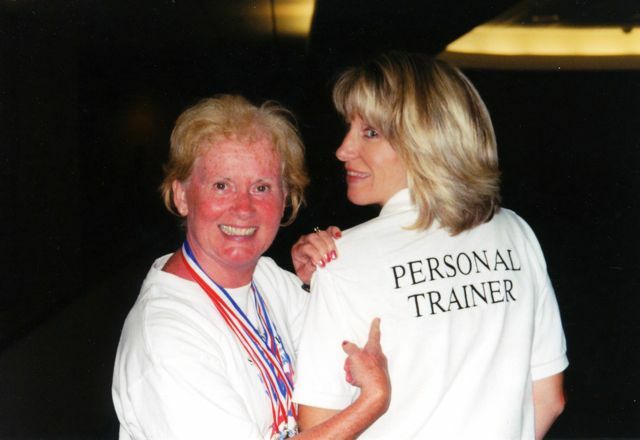 Want help living a healthier lifestyle? Together we’ll talk about what particular things happen to be your downfalls and then we’ll discuss alternatives to help overcome those obstacles. We will set goals and lay out an organized plan for getting the right amount of sleep, hydration, nutrition, exercise, and relaxation. Want to borrow a Halloween costume for a race in March? I can pull it out of the correct Rubbermaid storage box in my basement storage room and find it in a minute. All boxes are marked on the end with either Patriotic, Halloween, Easter, Thanksgiving, or Christmas. Christmas boxes are sub-marked candles, snow globes, Santas, living room ornaments, family room ornaments, etc. Want to get a group of friends together for a themed breakfast run? Give me a few minutes and I’ll volunteer to host, come up with a theme, create a food sign-up list, whip out a Facebook invitation, and get the ball rolling on the next pancake run or whatever you have in mind. Want an impromptu small party or happy hour thrown together? I can do it with an hour’s notice. Everything in my basement is organized and ready to be whipped out. Just be sure to give me enough time to shower and do beauty duty because that will take me longer than pulling together the party! Want to know what’s for dinner tonight? I might not know until 5 PM, when in a panic, I scrounge through my pantry, refrigerator, and freezer to see what I’ve got to work with… Organizing my meal planning, grocery shopping, and food prep isn’t my forte, but somehow, most nights we eat a healthy well-balance meal. Want a blog post written about the word organize? Which leads me to my announcement… Starting in 2017, Wednesday Word will become a monthly linkup running on the first Wednesday of each month. I feel that not only has Wednesday Word taken me away from some other things I would like to write about and share; but the number of bloggers participating in the linkup has dwindled to less than half of what it used to be. I hope you’ll still join me, and those who felt they either had to join every week or not at all, will feel free to pop in whenever the word of the month speaks to them. Are you organized? What are some examples of when you are and aren’t organized? Your party-planning tips alone make this post a million dollar one, Deb! Thank you! I’m afraid I’m not a super organized person. Just look in “my” room, which serves as a second closet. But somehow I always manage to get it all done! That’s the bottom line – getting it done! That’s a great point. No matter how organized I am, I can procrastinate plenty when I don’t want to do something. 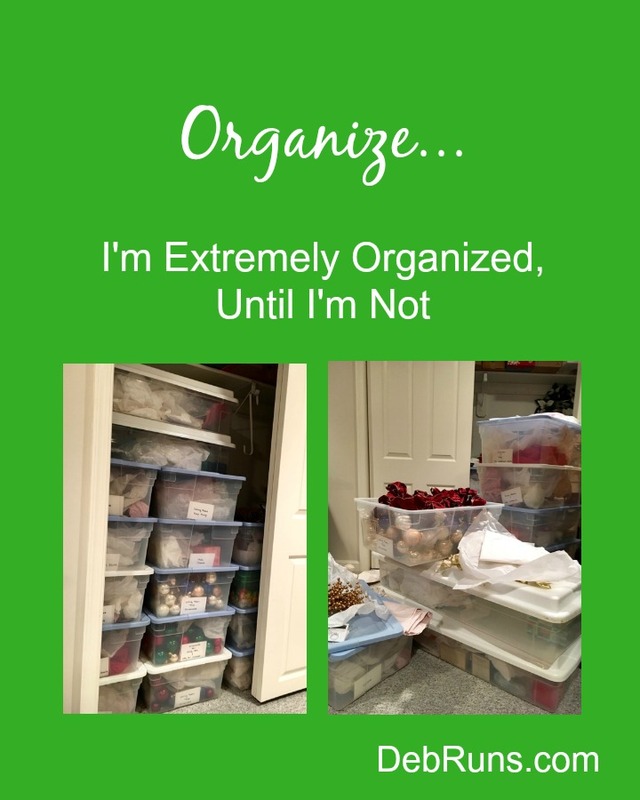 Like you, I”m organized…until I’m not! I plan my meals ahead of time and go to the store with a list. But I never get dinner on the table at the same time every night. Christmas shopping? I’ve bought nothing so far… Blogging? sometimes I plan ahead and sometimes I sit down to write a post with nothing in mind! For someone who sits down to write a post with nothing in mind, your posts all turn out fantastically! This time of year I put all of my energy in decorating, shopping, baking, and doing whatever necessary to pull of the perfect Christmas. I’m very organized in that respect! I’m a pretty Type A person so I’m very organized. I like to feel that I have some type of control over a situation! I just found this link up later in the year but thank you for hosting! I will be sure to continue posting as it goes to a monthly format. We always enjoy having you linkup, and reading your take on our word so I’m happy you’ll be staying with us! I swear I’m saving your list of party supplies for future reference! I’m a planner addict and like to think of myself as fairly organized…though if you looked at the chaos my house is in at the moment you might question that! LOL! Wow Deb your holiday decorations are way more organized than mine!! Sad to hear WW will be monthly but maybe will help with more bloggers participating! I hope you’ll continue linking up once we move to monthly! Okay, now I want to come to your basement and play with all your collection of costumes! Come on over! I just added a Santa costume this weekend when the race I ran included a Santa costume instead of a shirt! I’m seriously impressed with your Rubbermaid storage boxes! I feel much less organized that I used to be. I’m becoming my MIL. But, she always got it done anyway — so there’s hope. I’ve very much enjoyed Wednesday Word but my own weekly link has put a huge crunch in the time left to write my own posts or read others…oh and work full time! I hope I can be more consistent with your new monthly schedule. Thanks for ALL the words! I wish I could be like that!! You make it sound pretty easy, but I get overwhelmed a few minutes into a project usually. I am hardly able to keep up and post so maybe I will be able to hop in once a month! We’d love to have you join Wednesday Word whenever you have the chance!